When you’re hungry and start to think about food, your saliva production can increase by 20 times. With the average mouth producing between 2 and 4 pints of saliva every day, how much does that make in a year? It’s nothing to scoff at—your annual totals are between 92 and 185 gallons every year. Someone else’s saliva will gross you out, but the daily production in your mouth never seems to bother you. With the average person producing 2 pools-worth of saliva in a lifetime, this fluid production is clearly something we’re quite good at. And while it might be obvious that saliva helps with digestion, you might have some lingering curiosities about when and how and why we produce it. Read on to find out! Why does your saliva production increase when you’re hungry? Increased saliva production when you think about food is a universal norm. Hunger strikes, and you can feel that moisture build in your mouth. Most of us remember that saliva helps with digestion, but did you know that certain cravings stimulate more saliva production than others? And it’s not just about how hungry you are, either. Foods that are rich in carbohydrates, including fall favorites like potato salads, require more of the enzyme called ptyalin (contained in saliva) to break them down. Your body knows this, and you’ll actually produce more saliva before digging into carb-rich foods. But back to basics: your saliva production increases when you’re hungry to aid digestion in general. The moisture helps you chew food, protecting your teeth as you chow, and then protects your throat as you wash it all down. The more you chew, the more saliva you produce, and the better you’re able to break down foods to release their nutrients. 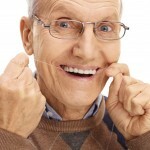 Is increased saliva production good for oral health? Saliva production can definitely be “too prolific” or “insufficient.” You need a minimum of saliva in order to chew and swallow comfortably, which is where hyposalivation (not salivating enough) can lead to tooth decay, gum disease and bad breath. Hypersalivation (producing TOO much) isn’t necessarily bad for your teeth, but can be embarrassing if that first fall pie makes you drool in front of company. Saliva is not only essential in digestion, but also for keeping your mouth clean. Brushing is still the one and only way to keep decay at bay, but saliva also plays its part in dissolving foodstuff off your teeth and washing bits of food down that weren’t swallowed as you ate. You have six primary salivary glands where saliva is produced, and your body has hundreds of minor salivary glands as well. Where are your major glands? Each of your cheeks holds one main salivary gland. You also have a set at the bottom of your mouth, and another set right behind your front teeth. Saliva production levels vary throughout the day, particularly as you lay down to sleep. The last of your daily salivary production pulses lightly into your mouth after brushing your teeth, and overnight you produce very little. Your mouth will absolutely react to dreams, however, meaning that dreaming of something tasty might be the culprit behind waking up to discover you’ve been drooling on your pillow overnight.